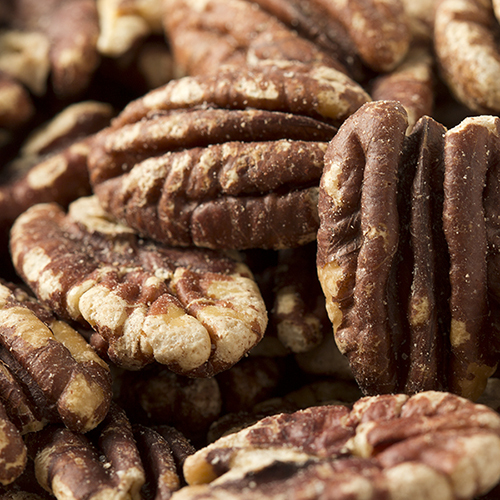 Southern pecans enrobed with a delicate honey sweetness. NUTRITION FACTS: Serv. Size: About 1/3 cup(34g). Amount Per Serving: Calories 250, Fat Cal. 200, Total Fat 24g (37% DV), Sat. Fat 2g (10% DV), Trans Fat 0g, Cholest. 0mg (0% DV), Sodium 45mg (2% DV), Total Carb. 11g (4% DV), Fiber 3g (11% DV), Sugars 6g, Protein 6g, Calcium (0% DV), Iron (4% DV). Not a significant source of Cholest., Sodium, Calcium, Iron, Vitamin A or Vitamin C. Percent Daily Values (DV) are based on a 2,000 calorie diet. 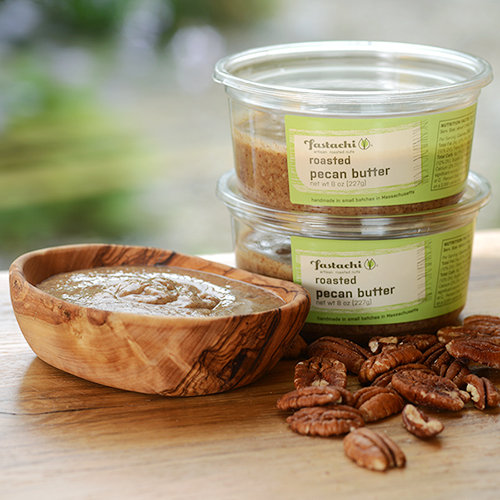 INGREDIENTS: PECANS, VEGETABLE OIL, SUCROSE, WHEAT STARCH, MALTODEXTRIN, HONEY, LACTOSE, SALT. 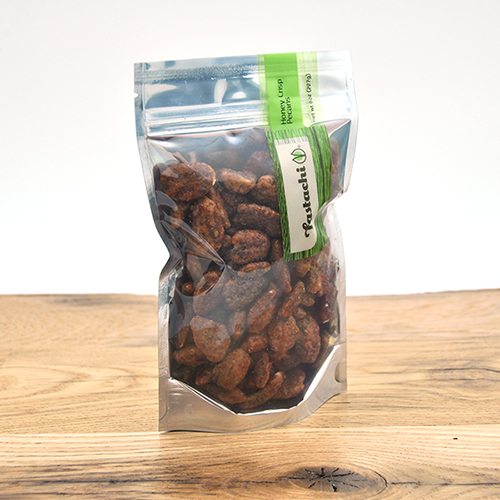 I've order many nuts over the years and these are the best so far. 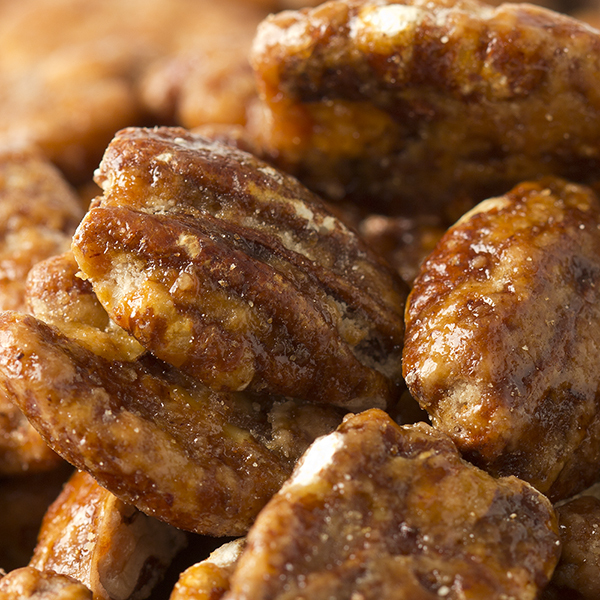 The Honey Crisp Pecans are just as described. Crisp, not soft like in other stores. My wife loves them in her salad (if they're not devoured by me first).